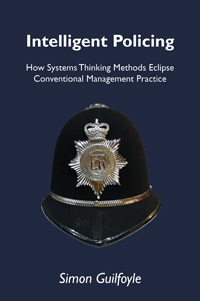 Simon Guilfoyle is a systems thinker, academic and Police Inspector. He is passionate about doing the right thing in policing. Having studied the works of W. Edwards Deming and associated authors he has applied their theories in everyday policing and found that the systems approach consistently leads to improved performance, lower costs and a better service to the public. He writes and lectures on the benefits of incorporating systems thinking principles into policing, and has spoken at several national events. He also acts as an independent systems advisor to UK police forces and other agencies. In 2011, Simon graduated from the University of Birmingham with a Masters Degree in Public Administration and, in 2012, attained a Professional Graduate Certificate in Education from Canterbury Christchurch University. He is currently studying for a PhD at Warwick University's Business School, exploring how police performance management can be enhanced through the application of systems principles.